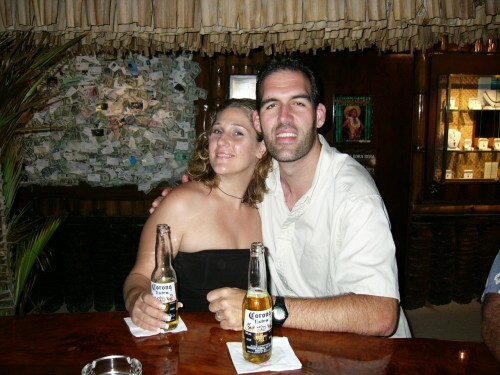 Back in June, not only did I turn 40, but Mr. Bear and I celebrated our 10th wedding anniversary. We were trying to choose the perfect spot to vacation, so I turned to Facebook. Sonoma was the hand-down winner for the perfect vacation. The more feedback I got from friends and family, the more I was convinced! A fellow blogger recommended The Wine Road. I contacted them and they offered some complimentary services for our anniversary, including a 3-day ticket to the Wine Road. We went out LAX, as we had to drop the kiddo, the dogs and the cat off at my parent’s house and it was closer than San Diego. We took a one hour-ish hop from LAX to Santa Rosa. It was so easy! Much better than flying into San Francisco! We flew Alaska Airlines, which allowed for us to bring back a case of wine with us on the return, so BONUS! Please, they were giving complimentary cocktails on the flight. Wooohoo! We stayed at the Hilton Sonoma Wine Country Hotel, which has fully furnished apartments and where the service was amazing from the moment we called for a complimentary shuttle from the airport. They did not have a scheduled airport pick-up for another hour after we landed, but came and got us anyway. When we arrived at the hotel, The Wine Road had this amazing package all ready to go for us, complete with maps, a cookbook, a lovely bottle of wine, coupons from various Wine Road participants and we immediately opened the bottle of wine. Last week was my 40th birthday. I turned the big 4-0. I feel like a rebellious teenager, full of dreams and ideas, yet not quite old enough to be responsible for making all these grown-up decisions. How did I get to be 40 so quickly? I had the best time in my 30’s and I don’t mind being 40. The fine lines and wrinkles. All of it, I wear proudly. It’s been an awesome ride and I look forward to another 60 or so years of awesome, no matter how wrinkly I become. It is not the critic who counts; not the man who points out how the strong man stumbles, or where the doer of deeds could have done them better. The credit belongs to the man who is actually in the arena, whose face is marred by dust and sweat and blood; who strives valiantly; . . . who at best knows in the end the triumph of high achievement, and who at worst, if he fails, at least fails while daring greatly. 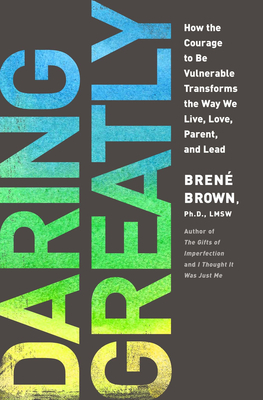 When I got the opportunity to read Dr. Brené Brown’s latest book, Daring Greatly, I was thrilled. Over the past two years, I have had the pleasure of hearing her speak on two separate occasions. I knew this book was going to be a great read because I have heard what she has to say and she is one of the most genuine speakers I have ever heard. Her work on shame, shame resilience, fear, vulnerability and daring greatly resonated with me in an authentic way, I could not put the book down. Vulnerability is about sharing our feelings and our experiences with people who have earned the right to hear them. Being vulnerable and open is mutual and an integral part of the trust-building process. The book struck such a chord with me on so many levels. I am in sort of a cross-roads right now and I want to be courageous through this phase of life. It is a scary prospect. We all have those critics that tell us we aren’t enough, but our biggest critic sometimes lives within ourselves. We need to take the risk, EVEN IF we may fail. That is courage. I found myself nodding my head in agreement, taking notes, dog earmarking pages, and feeling inspired to truly live my life daring greatly. The book was excellent! I am an even bigger fan of Dr. Brown than I was before. Disclaimer: This is a paid review for BlogHer Book Club but the opinions expressed are my own. I was compensated for my review, and received a copy of Daring Greatly HOWEVER, I only recommend products and/or services I personally believe in.